HOCKEY: When a young Gary Lee played his first game of hockey for Park Avenue back in the late '60s, he could never have imagined he would still be playing the game 50 years on. But that is the case for the dedicated and highly regarded competitor, who has not missed a season with his beloved club. While the game has changed dramatically in the half a century in which he's been involved, Lee's love for it has never waned. 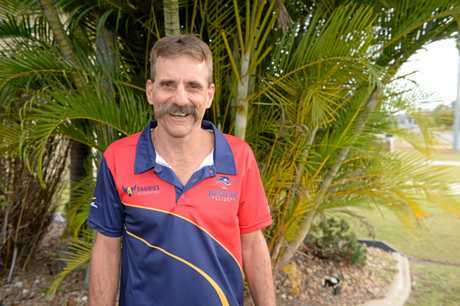 "Hockey's been good to me, socially and physically,” the 58-year-old said. "A lot of people have been congratulating me on the milestone but it's not something I set out to do. "I've just rolled along, playing one year to the next. I've never even thought about it, to be honest. "There's so much to enjoy about hockey. I love the game and I've met a lot of really nice people along the way. "I like to keep fit and it's been a great catalyst for that. Lee has amassed an impressive list of highlights through his career and can recall them all with sparkling clarity, including the year his career began. "Park Avenue Hockey Club were canvassing the schools and were holding a come and try day. I went along to give it a go. "As a young person, you're always interested in different sports and like most kids, I grew up playing this and that in the backyard. "I thought I'd give hockey a try because it was something different. Lee worked his way through the ranks and made his A-grade debut at 16. Parks made the grand final that year, only to be beaten by arch-rivals Southern Suburbs on penalty strokes. The following year, 1979, they won the premiership, something Lee rates among his fondest achievements. 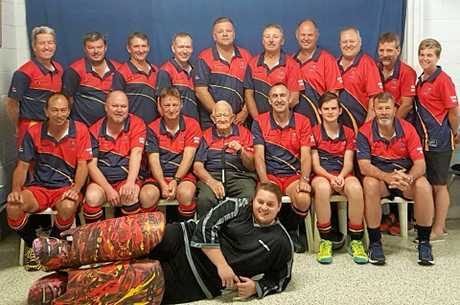 He was a regular in Queensland Masters sides but the pinnacle of his career was playing in the Australian over-50s team at the World Cup in Singapore in 2011. The Aussies brought home silver, with Lee scoring a goal in the semi-final to help secure the team a place in the grand final against England. "Scoring my first and only goal for Australia was pretty memorable,” he said. "Wearing the green and gold was quite surreal, and it's difficult to explain. Lee is playing for Park Avenue's Team Hamilton in Rockhampton's A3 competition. He has always based his game on fitness, and prided himself on his determination and sportsmanship. "I never give up and play strong but play fair,” Lee said. "I've always tried to be a good sport and do my best when I get on the field. Park Avenue Brothers Hockey Club will mark Gary Lee's milestone at 4pm on Saturday at Kalka Shades. All current and past members are invited to attend the celebration, to be held between the club's fixtures. A sausage sizzle will also be held, with proceeds going to Beyond Blue.